You have until this Thursday at noon to place your orders at Harvest to Market for the December pickup which is this Saturday December 16th from 9am-11pm at the grange hall. To place orders for chocolates, call Nancy Parker directly at 768-7177 . Check out Huckins and Huntoon Farm for those holiday party and meal makers. 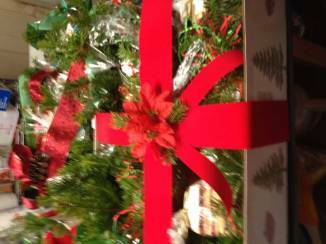 Pleasant View Arts, Margaret Hoyle Socks and Gourmet Garden have gifts to help Santa fill his list. The grange has frozen butternut squash in tub containers. Fully cooked, all you need to do is thaw, heat and eat. The next winter market is Jan 6th. Warner River Organics has joined our lineup with a variety of root veggies, greens and mushrooms. We also welcome Maria Polizzi, cannoli and Italian cookie creator and Stampin Up consultant. Our first workshop on Jan 20th will be a Stampin Up Class. Preregistration is required. For a special price of $7 participants will get all the materials including envelopes plus guidance to create 3 unique cards. Sign up with Marie at the market or by emailing [email protected]. Each pickup will have programs and workshops. As they become confirmed the schedule will be posted at Blazingstargrange.org. People interested in helping to plan the 3rd saturday lineup are invited to attend a meeting during the Dec 16th pickup. The meeting will begin at 9:30 and will be adjourned just before 11am.